Last Updated: August 31, 2018 | Subscribe to our weekly newsletter! Sure, pools and playgrounds are quintessential outdoor fun. But put the two together and you have a recipe for unforgettable summer memories. Trips to your local water park might be an exciting family outing, but we’re going to let you in on a little secret. You don’t need to leave your backyard for a trip down a pool slide. Like a good diving board, a high-quality slide can be the perfect add-on to your inground pool. All you have to do is find the right fit for your pool, deck, and back yard, and your sense of adventure. Can You Even Own a Pool Slide? Sure, we’re all kings and queens of our own castles. But we also have outside forces like local ordinances and homeowners’ associations to worry about. For example, your city or state may require you to have a fenced-in yard if you install a residential slide. Your homeowners’ association may also have regulations on the height of the slide, if you’re allowed to own one at all. Before you invest in a pool slide, check with your homeowners’ association and your local and state governments. Many regulations apply only to public swimming pools, but it’s better to ask for permission now than fight a fine later. Tip: Pay particularly close attention to your city or county rules. They can be more strict or specific than statewide regulations. No, this isn’t another legal hoop you have to jump through. CPSC stands for Consumer Protection Safety Commision, a government agency dedicated to protecting consumers by creating safety guidelines for the products we use every day. CPSC compliance means a particular slide meets those government guidelines. 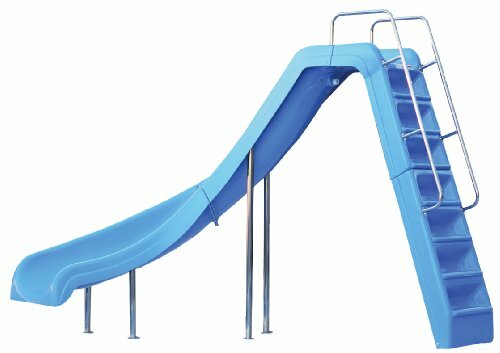 Slides taller than 7.5 feet, for instance, must have a slip-resistant platform at least a foot wide between the ladder and the slide to be CPSC compliant. Slides with steeper ladders may require handrails to help stabilize and protect swimmers. These lengthy rules also include quality control tests for the slide. CPSC compliance is a good indicator of quality and safety for your family, not to mention everyone else who uses your pool. And since a crippling injury can be a huge damper on summer fun, we definitely recommend looking for compliance first when hunting for the perfect pool slide If you click this link and make a purchase, we earn a commission at no additional cost to you. .
Before you run out and spend any money on a pool slide, you need to make sure it’ll actually fit next to your pool. This will require going back to basic algebra just for a second. We promise, it won’t take long. Can Your Pool Deck Handle It? Remember a2 + b2 = c2, or the Pythagorean Theorem? The longer the slide is, the longer at least one of the edges of the designated space will need to be. It doesn’t apply as neatly to curved or corkscrew slides, but—for structural and safety reasons—they still take up a significant amount of space on your deck. Slides rely on a concrete deck for stability, so a small deck probably won’t cut it if you want a bigger slide. Most manufacturers will specify the space you need for a particular model, which can range from a 5 ft. x 5 ft. square to a 15 ft. x 13 ft. rectangle. So always check the deck requirements before setting your heart on a slide. Unless you’re willing to add an extension to your deck, what you have now is really going to dictate the type of slide you can accommodate. While we don’t have standard types of slides, they fall into three general shapes: straight, curved, or corkscrew. For space considerations, the type isn’t as important as the actual height of the slide. Think back to the Pythagorean Theorem: If you have a longer ride, you’re going to need more space. Is Your Pool Deep Enough? Another consideration is your pool’s depth. Your state may have specific recommendations for homeowners and requirements for public facilities, but a good rule of thumb is the taller the slide, the deeper your water needs to be. Regardless of how tall your slide is, though, you want to install your slide at the deep end of your pool. This will help ensure the safety of everyone who uses it. Generally, you need to have at least three feet of water directly under the mouth of the slide, which is also known as the flume. 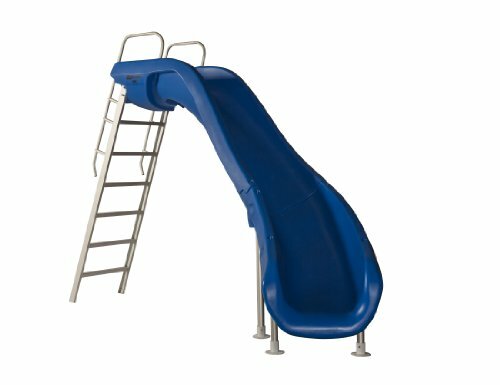 Your slide manufacturer will have more specific depth requirements once you select a slide, or you can ask a local pool professional to help you make a final decision. If you’re on a budget, it may be tempting to buy a secondhand pool slide. Just remember older slides may be made of less durable materials than the ones used today. Investing in a new slide If you click this link and make a purchase, we earn a commission at no additional cost to you. can save you from repairs (and possible injuries) later. When searching for this addition to your pool, consider a new slide made from one of two materials. Most slides manufactured today are made of polyethylene, which is an incredibly fancy way to say plastic. It’s actually the most common plastic you’ll encounter. Polyethylene is used to make tons of commercial and noncommercial items from grocery bags to bulletproof vests. It’s highly durable to water and pool chemicals, plus it maintains its color and holds its shape despite intense and long-term sun exposure. Like polyethylene, fiberglass and fiberglass laminate are types of plastic. Essentially, this plastic is reinforced with glass fibers to increase strength and reduce corrosion. Don’t let the inclusion of glass scare you—it’s not a hazard. Fiberglass is also durable and has low maintenance requirements. Remember, like any part of your pool, the slide needs care and maintenance too. No one wants to try to glide down a dirty slide. Leaves, twigs, bugs, and other outdoor debris can fall onto your slide, making for a bumpy ride. 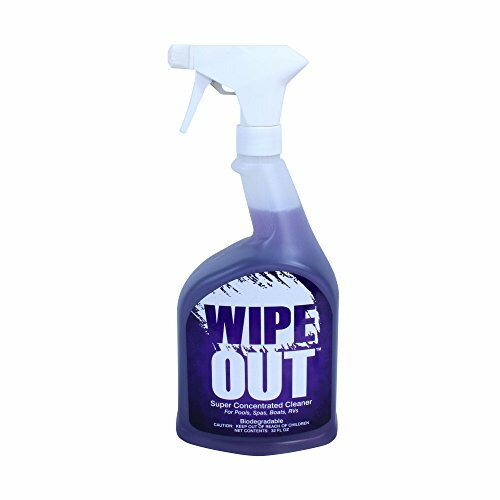 Brush off debris with a broom or soft brush If you click this link and make a purchase, we earn a commission at no additional cost to you. . Then use a simple, non-abrasive cleaner If you click this link and make a purchase, we earn a commission at no additional cost to you. , a sponge or soft cloth If you click this link and make a purchase, we earn a commission at no additional cost to you. , and a good rinse to remove grime and keep your slide spick-and-span. 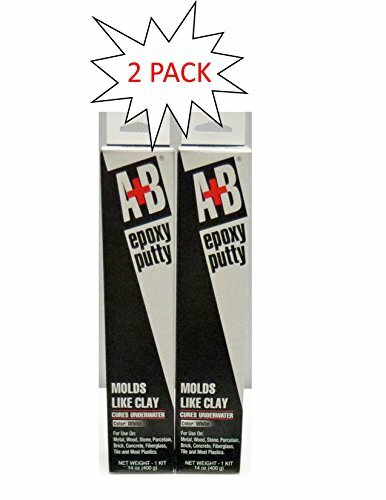 If you notice cracks developing—they’re rare nowadays, but they happen—a simple epoxy repair kit If you click this link and make a purchase, we earn a commission at no additional cost to you. can easily take care of them. Have you ever tried to go down a dry pool slide in a wet bathing suit? It’s not the most comfortable feeling, to say the least. The slide works best when it’s slick with water, and you can zip right down with no friction burns. So how are you going to keep the slide wet when it’s in use? You have two main options: using a garden hose or connecting permanent plumbing to use your pool water. We don’t mean just laying your hose at the top of the slide and letting the water run down, though that would certainly work. 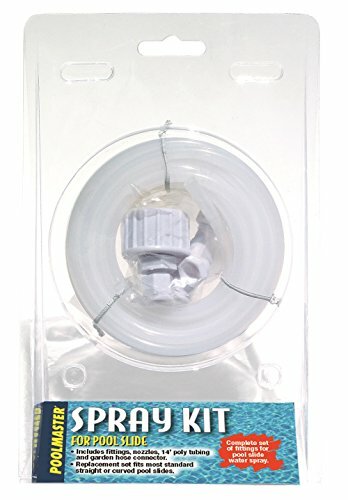 We’re talking about spray kits If you click this link and make a purchase, we earn a commission at no additional cost to you. that connect to your garden hose and then wet the slide via small nozzles you install on your slide. We’re not going to say this is a lazy way to get your water slide up and running, because using water from a hose comes with a couple of maintenance drawbacks that will actually make more work for you. You have both immediate and long-term concerns when using a hose as your water source. Immediate: An overflowing pool is a problem and a half. Relying on a hose means you either have to limit the amount of time the slide is in use, drain some water from the pool, or turn the hose on and off for every ride. It’s a lot of work and a great way to run up your water bill. 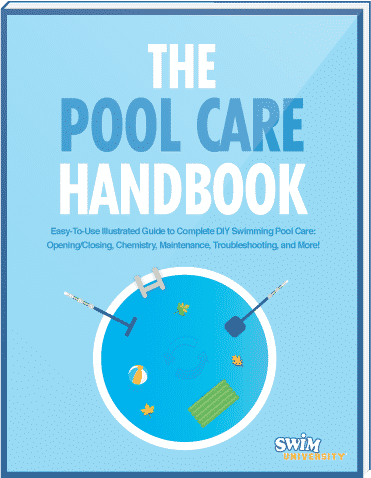 Long-term: Adding and removing water can really mess up your pool chemistry. If you’re using a garden hose, you’ll need to check your chemical levels more often to make sure your pool doesn’t develop any algae or bacteria. Also, if your area has higher concentrations of metals or calcium in the water, they can affect your water quality. You could use a hose filter If you click this link and make a purchase, we earn a commission at no additional cost to you. to help stave off some of these effects, but you’ll still spend more time balancing your water chemistry overall. Finally, it’s just wasteful. Running your hose for hours and hours over the course of the summer means gallons upon gallons of water being dumped when you drain it from your pool. Using a hose to wet down your pool slide is definitely not an environmentally friendly option. It takes a little bit of work to connect a water line from your pool to the slide, but it’ll pay off in lower pool chemical costs, less maintenance time, a lower water bill, and less water waste in the long run. 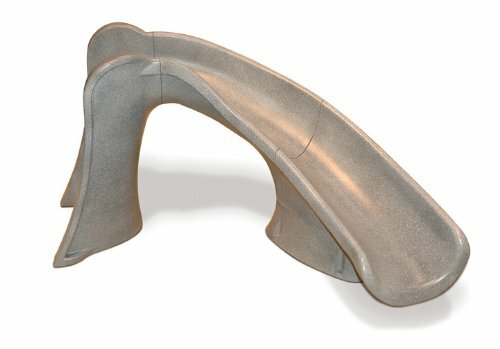 Depending on the manufacturer, the parts you need to connect to your pool’s return line may be included with your slide. With permanent plumbing, you don’t have to worry about overflow or chemical imbalance like you do with the garden hose. If you’re not adept at working on plumbing, though, it may be best to hire a pro to install it for you. If you choose to install plumbing for your slide, then whether and how you close your pool for the season will be especially important. If you close, you’ll need to devise a game plan for closing your slide as well. That means draining and/or storing the plumbing before cold weather hits to prevent ice from damaging your equipment. If you don’t go with permanent plumbing, closing your slide is mind-blowingly simple: just make sure it doesn’t collect too much standing water or snow. Standing water in the slide flume can mean a buildup of dirt and debris, as well as be a breeding ground for mosquitoes, if it’s not too cold out. Check the slide once or twice a week, keep it clear of any debris, and it should be fine till next summer. You always have the option of installing a pool slide on your own. If you try to avoiding hiring extra help as much as possible, make sure you can at least understand the manufacturer’s installation instructions and that you own all the tools needed to get the job done before you choose a slide. Most manufacturers will share downloadable versions of their owner/installation manuals on their websites. You may also be able to find those manuals through a search engine. If you’re not comfortable installing a slide on your own, a local pro is the way to go. Before you make a final decision on your slide, make sure to ask if your contractor can or will install a slide you purchase. What About Salt Water Pools? 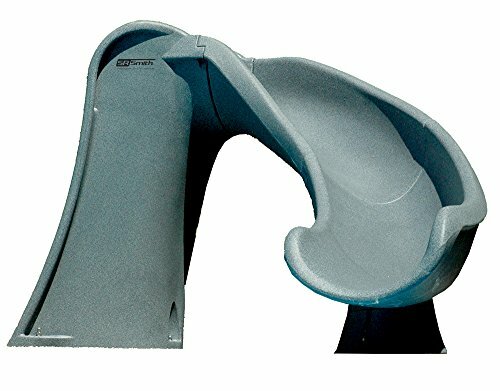 You’ll find several slides available that are salt water pool friendly If you click this link and make a purchase, we earn a commission at no additional cost to you. . Just remember that the salty environment can be corrosive to metal, so just choose a slide that is made completely from plastic or fiberglass, and has no exposed metal components. They might not come with the smooth adrenaline rush of a permanent pool slide If you click this link and make a purchase, we earn a commission at no additional cost to you. 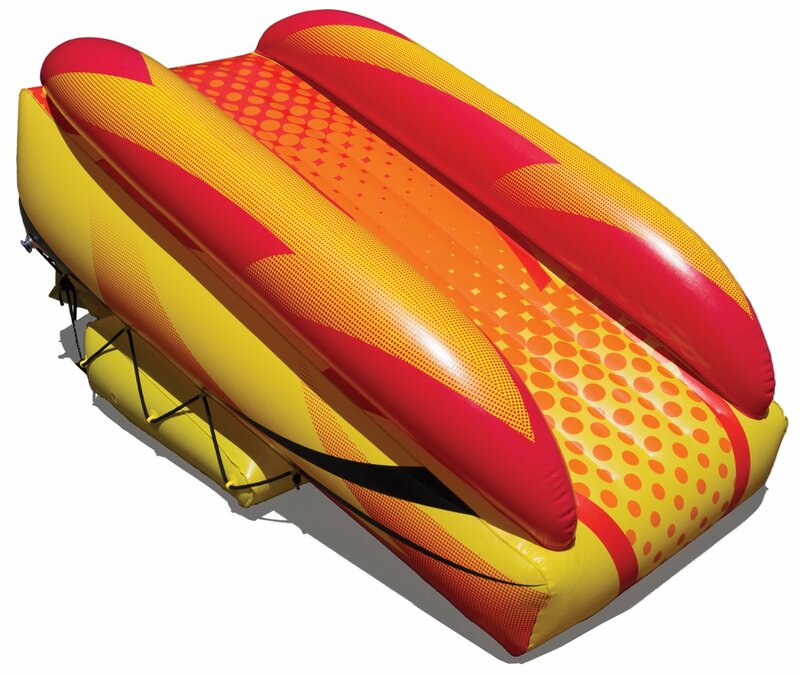 , but inflatable pool slides can be a great alternative if you’re short on space. Plus, they’re a huge hit with young kids. Inflatable slides are generally less expensive and require less deck space If you click this link and make a purchase, we earn a commission at no additional cost to you. for safe use. If you have your heart set on a slide but don’t have the space or the budget to get a permanent one now, an inflatable one may be your best option for slippery summer fun. Just remember they tend to be on the smaller side. If you decide to go this route, that CPSC compliance will be all the more important. In the past, some inflatable slides have been defective, and would partially deflate while in use. This led to several serious injuries, and at least one death. Everything in life comes with some risk. Just be sure to get an inflatable slide that meets safety standards, and always follow all the manufacturer’s instructions for safe use. Once you know your state and local laws, the size of your deck, and your water depth, all you have to do is pick a slide the jibes with your pool vibe. And, of course, remember to double check the manufacturer’s recommendation for space and depth before you make your final decision. When that’s done, there’s just the small matter of setting up, figuring out how to keep it wet, and then enjoying it. Once you have a pool slide installed, you’ll wonder how you ever got along without it.